The James Cook University community is deeply saddened to hear of the recent passing of Dr Bonita Mabo. Dr Mabo was an outstanding member of the Queensland community and achieved great things, often in the face of great adversity. 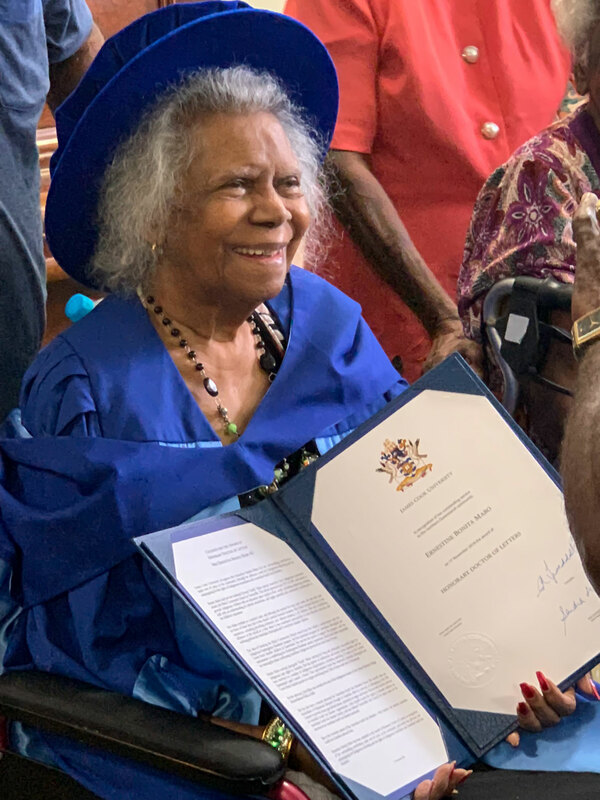 Her legacy as an advocate for Indigenous education and for Indigenous Australians and South Sea Islanders will long be remembered and celebrated. We are honoured that she accepted an Honorary Doctorate of Letters from the University this month. JCU passes our sincerest condolences to her family and friends for their loss.